I think that when some people hear "tantra" they assume "The Two Stages," Deity Yoga and completion stages dealing with Tsa-Lung/Tigle. These are certainly "tantric" practices--but they are not the definition of Tantric Practices. Mahamudra and Dzokchen, according to the Gurus I have studied with, are tantric practices. They come from Tantric Texts. They are taught and transmitted by lineage, with samaya. While it's true that they do not "rely," per se, on practices which are supposedly "lower"--yidam practice, tummo, or whatnot--neither are they separate from those practices. And while it's true that they can be practiced "apart" from the supposedly "lower" practices, it is often pointed out that success with this path of (relatively) "unfabricated" practice is quite rare. Dzogchen is most definitely based on tantra. The Dzogchen scriptural bases are "tantras" afterall. Dzogchen in Kagnying from Nepal, the only Kagyu-Nyingma monastery in the world i guess proclaims that Mahamudra and Dzogchen are the same. Can assure you dear Nangwa that in Bon this is not the case that Dzogchen is/must be special based on Tantra. But we also know the gradual way in Bon and that would be: Sutra - Tantra - Dzogchen. This is the method for the lower and middle level of understanding persons, but there are also others with great karma from previous lives etc. who can follow Dzogchen very easy without a stepping stone or gradual way method.Dzogchen was a long time therefore more secret then the Tantra education / techings. We know in Dzogchen for a long time the Master - student etc. relation because the importance of secrecy. The reason is that even the Tantrists cannot follow easy Dzogchen and so is Dzogchen self protected by the Master who has only 1 student. They changed recently this relationship because out of fear that Dzogchen could disappear. So there are realy persons who do or practice only Dzogchen without that this is based on Tantra, like myself. Dzogchen is difficult to understand for non-Dzogchen practitioners, because Dzogchen is a non-dual awareness which does not need a Yidam , outer objects, bliss, Yab-yum and Kama Sutra to make progress. The only thing we always are trying, is to be in our Natural State and to be (self)aware of this state.Further do we the light yogas and the dark retreat yoga to make progress regarding resting in our Natural State, which shows to us the two ways of experiencing the inner and outer ways of seeing or to be aware of our Natural State or not. So we/i have non-Tantric things in our/my Dzogchen practice. "Dzogchen in Kagnying from Nepal, the only Kagyu-Nyingma monastery in the world i guess proclaims that Mahamudra and Dzogchen are the same. " Kagnying in Nepal is either mistaken, not telling the whole story, or you have misinterpreted what their stance is, because Dzogchen and Mahamudra are most definitely not the same. And they are most definitely not the only Kagyu-Nyingma monastery in the world. Not even close actually. I dont care what Bon has to say about Dzogchen. Will write between your lines, some suggestions. conebeckham wrote: Both terms, Dzokchen and Mahamudra, are quite "loaded." Both "Great Perfection" and "Great Seal" are, ultimately, descriptions of the Ultimate State of Realization. As such, they're equivalent, though the focus is a bit different. We could say this is in relation to the "Fruit." In Dzogchen we know the proof of this ultimate realisation, namely the obtaining of the Rainbow Body. How is this prooven state called in Mahamudra? From the point of view of the "Path," these two traditions are different, though there are similarities. A skillful teacher can weave them together, without losing the meaning, and without confusing the student in his or her "practice." But there are methods specific to Dzokchen which are not found in Mahamudra, it's true. Yes synchronisation is sometimes possible, but not everywhere. The different methods show allready the difference between the Chagya Chenpo and Dzogchen. Besides they bear two different names and not one name. Or could we say here that a follower from both styles is a Mahadzogpa? From the point of view of the "Ground," or foundation, descriptions and explanations differ a bit. Mahamudra focuses quite a bit on the coexistent "Emptiness/Appearance," or "Emptiness/Bliss." "Dzokchen" focuses on "awareness" and how it differs from "mind," as well as on purity and spontanaity. For a Dzochenpa is it enough to know by Rigpa that everything is self liberated like a thought comes - stays and dissolves into emptiness where it came out and that is our own mind. So we get also self-liberated because everything is since beginningless time self-liberated so what has to be liberated and from what? As for the Ganges Mahamudra of Tilopa, it is one of the most famous Dohas of the Mahamudra Siddha tradition. Further there would be more Ka-Nying traditions, but i do not know this and i wrote also i guess / presume. Their stance is that they give Dzogchen as well mahamudra teachings but they also try to equal Mahamudra to Dzogchen or to pour Mahamudra in/to Dzogchen etc. I heard untill now so many interpretations about these but the repeating sayings were mostly that Dzogchen and Mahamudra could be integrated and even would be the same in essence etc. and i am glad that you did doubt that! Also nice to hear from You that you do not care what Bon says about Dzogchen whereas Bon has 4 authentic Dzogchen lineages with a 18.000 years back ground. Has this a special or specific reason? But i can agree that one cannot read and investigate everything to the point. Hope to give here at the Bon forum more informations about the very old Bon Dzogchen lineages so that some of you can get a better insight into Bon and Dzogchen. [quote="conebeckham"]Both terms, Dzokchen and Mahamudra, are quite "loaded." I was referring to the Absolute Truth---Ultimate Reality--which is really the ground of both Dzokchen and Mahamudra....as well as the Fruit, or realization. Enlightenment, Buddhahood, is the fruit of both paths....as for Rainbow Body, yes, it's known as a "result..." and is usually spoken of in relation to Dzokchen. But, for example, Khyabje Kalu Rinpoche's teacher was said to have dissolved into Rainbow Body at death...he was known primarily as a practitioner of Sarma "techniques," I think. You could say that, but it wouldn't be recognized by any teacher I've met. I agree, they are two different paths, and so we have two different names....actually, I've heard Dzokchen practitioners referred to as Dzokpa Chenpos...but never heard of people referred to as Chak Gya Chenpos?!? If you say so. It sure sounds good. I'm being a bit facetious, of course...Mahamudra has similar instructions, you know.....thoughts are self-liberated into the vast expanse, etc.....but I don't think it's "enough to know" about it....if that were the case, none of us would be suffering. Would we? Yes, this lines up with everything I've read and heard from lamas. I once had a chance to chat a bit with a Tibetan Karma Kagyu lama who was trained at Tsurphu Monastery. He didn't speak very good English, so his answers were very basic. I asked him, "Do you practice Mahamudra?" and he answered, "Yes." Then I asked him, "Do you practice Dzogchen?" and his answer was, "Dzogchen. 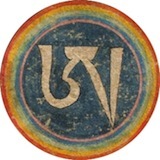 Mahamudra. Same." Anyway, I read that the Third Karmapa received both the entire Nyingma and Kagyu transmissions and wrote books comparing the two systems. Has anyone read the Third Karmapa's books on this subject? 3rd Karmapa was indeed a master of both the Mahamudra tradition, as transferred through Karma Kagyu lineage, and the Dzokchen practices--in fact, he was a terton who "revealed" the Karmai Nyingtik system. He was also an expert on the Kalachakra systems. I'm not sure which books, in particular, you're referring to...his most famous work is the "Zabmo Nangdon," which is not completely translated into English, though bits of it are available. However, I think it's important to note that, although in some sense Dzokchen and Mahamudra are "same," in many senses they are quite different. Kagyu Lamas that I've met and talked with will all tell you that the end result is the same. The paths differ to some degree, and the terminology and emphasis differ as well. Well, as a student of the precious masters of the famous "Ka-nying Shedrub Ling" monastery in Nepal I feel I have to say a few words at this point. Mahamudra, Madyamika and Dzogchen all points directly to our true nature and in this way they are the same. There are of course many differences in methods and styles. This tradition to teach all three approaches is very common and nothing strange. Tsele Natsok Rangdrol, Jigme Lingpa, the 3 karmapa, Longchenpa and many more, this approach have a very long tradition. If the teacher have realization it doesn't make so big difference if the words come from the Madyamika, Mahamudra or Dzogchen tradition as they will all carry the true meaning. Words in themselves are not the true meaning and making a big deal of them it shows only that we are clinging to intellectual differences that is far away from the true meaning. Also, of course Dzogchen is Tantra. The 17 Tantras of the upadesha tradition contain a lot of material like deity yoga and so on. That is just not true. I been a student of CNR for 25 years. He never tried to "pour Mahamudra into Dzogchen". Not even as Jigme Lingpa does when he teach the four yogas in combination with Dzogchen. Every time CNR teach Dzogchen he does it fully from a Dzogchen perspective and when he teach Mahamudra he do it fully from a Mahamudra perspective. As for "equalizing Mahamudra and Dzogchen" CNR just like his father Tulku Urgyen, the supreme Dzogchen master, says that Essence Mahamudra and Dzogchen Trechö are the same. When these supreme masters teach they teach directly from the natural state that is like the pure,clear sky and at that point what are the differences except clinging and conceptualizing. However, they never mix anything up and so uphold both lineages. kalden yungdrung wrote: So we/i have non-Tantric things in our/my Dzogchen practice. So when you practice Tantra, don't you apply the three samadhis? Don't your development stage arise out of the natural state? When you practice Dzogchen don't you visualize while doing the Rushan? Don't you pray to your Guru? The intellectual distinctions between Dzogchen and Tantra that seems so popular these days is not helping people very much when it comes to their practice it seems like to me. What if you factually reach the state of nonconceptual freedom? What then are words like "dzog-something " ?? -or was it awöoierz ??? Aemilius wrote: What if you factually reach the state of nonconceptual freedom? What then are words like "dzog-something " ?? -or was it awöoierz ??? They are just words, just like they are right now. You just highlighted one of the primary reasons why I dont care what Bon has to say about Dzogchen. Bon has zero authentic Dzogchen lineages that go back 18,000 years. 18,000 years is just a completely outrageous number. There is absolutely no historical evidence whatsoever to support any of these claims. The surviving original documents of Bon are no more than 1,000 years old and they look nothing like the texts that are transmitted today. Any and all Dzogchen, tantra, or madhyamaka teachings that are transmitted by Bon today have been clearly and shamelessly co-opted and given a fabricated history. Modern Bon is a knock off of Buddhism. The claims of unique Dzogchen lineages that go back before any recorded history in Tibet are insulting. Here in addition the source of the lineage regarding Mahamudra which i know finally also, traced back to Sahara and the Sahara dohas are very good. I do not want to defend Bon here on this Dorje Thekpa Sub-forum. There is nothing to defend only to elucidate what is Bon and that is better done on the Bon sub-forum here. Your interpretation is that one, which did caused that my eyes were a long time closed regarding Bon matters. But after investigations did i conclude that the Tibetan politic did decide to change from Bon Buddhism to Indian Buddhism. So one thing is very clear that Tibet was allready Buddhist before they did import the Indian form of Buddhism. Also they have had a script Zhang Zhung and did not need another script like that one is based on Sanskrit. Me was told Tibetans did not have a script.So Tibetan history is very interesting and we already know several history writers like Taranatha, Bu ston etc. who write history in a certain lineage matter. So When Gelug was in the saddle they wrote their history etc. Amazing that we do not have 1 history book regarding all Tibetan passed events. Taranathas history book was first published again in the west or India (after 1959). So the Tibetan central kings were motivated to make changes but why? Guru Yoga is a must in any Tibetan tradition its like all Tibetans speak Tibetan. 1. Guru-Yoga, 2. meditation on impermanence, 3. Confessing 4. Bodhicitta, 5. Refuge, 6. Mandala 7. The 3 Essences 8. Chöd, 9. Prayer to the Dzogchen Lineage . Further know i the internal and external Guru. My internal Guru is the Bodhicitta on which i listen/reflect and have that awareness and i get some advice sometimes from my external Guru who do i venerate as much as my internal Guru. The one who seeks the Buddha outside will never find him there. - The external Guru gives the introduction into the Natural State. So in Bon you mix Tantra and Dzogchen ? What is your point? How does you description of Bon Dzogchen differ radically from Nyingma Dzogchen? All Dzogchen teachers introduce their students to the natural state, that is nothing particularly to Bon. Nyingma depends, when i am right on the 9 ways. Ati/adi, would be like Dzogchen or the highest goal to achieve. So we have the 3 causal vehicles and the 6 resultant vehicles. The 3 internal Tantras: Maha Yoga, Anu Yoga and the Ati/adi Yoga Tantra and this is Dzogchen. Anyway Bon has another enumeration of the 9 ways and is realy a very huge area of all kind of teachings. Never saw such a big enumeration and sub-divisions. Therefore is Bon Dzogchen other enumerated then Nyingma Dzogchen and so You saw in my somewhere else mentioned example, not based as You know it, or are used in Nyingma. Yes it is very difficult to make comparisations. Better we do not do it, but instead do it pure in our tradition. Like Mahamudra practicing like Mahamudra without mingling it with something else. Dzogchen practice it like Dzogchen and do not mix it up with something else. Jamgon Kongtrul Rinpoche and Kyentse Yamyang Rinpoche, allready proclaimed. They told us do it all but do not mix. That is also my opinion and so i did do it, following as well Dorje Thekpa, as well Bon. Also when i did practice Mahamudra, i never compare it or mix it up or pour it into Dzogchen etc. At the very moment i prefer Bon Dzogchen which is not mixed at all with Indian Buddhism. Here one exception and that is the Tibetan standard the Madyamaka, but this is due to the Gelug. Gelug put a condition for the Geshe degree and that is the ability to be able defend oneself in the Madyamaka philosophy. This is a standard for all Tibetan Geshes, like theTibetan language a common standard represents for all Tibetan. Oh yes, in Dzogchen there are no much big differences from Nyingma and Bon but then we call solely about Dzogchen without the Tantras. Would there somebody dare to proclaim that Dorje Chang is the same as Kuntu Zangpo? When we mix them, we/some (could) get a "problem" with the Dharmakaya aspect Dorje Chang / Mahamudra and the Dharmakaya aspect of Kuntu Zangpo /Dzogchen. What are then the points in which Nyingma would differ from Bon and why? Shiva Tantras, Chinese Feng shui, Aryuveda and Bon customs. Therefore is it not strange at all, when i hear and see that some proclaim that Mahamudra is the same like Dzogchen. From Lingchima institute website "Certain classes of tantras may also contain teachings on dzogchen." Your list of Bon Dzogchen practices contain many practices that normally is considered Tantric. I fail to see how this separation between Tantra and Dzogchen actually is applied? No one said that Mahamudra and Dzogchen is the same. Essence Mahamudra and Dzogchen Trechö are the same in the sense that the naked natural state is introduced directly to the student. The natural state don't care much for words and concepts.